Third-grade students at Solar Preparatory School for Girls spent their day working with tools and measuring materials to help build Little Free Libraries that will be placed at community organizations. 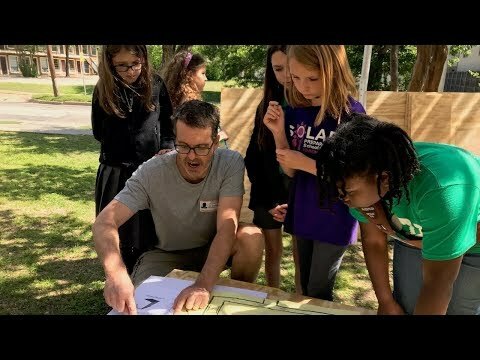 Helping build the Little Free Libraries was the students Girl Scouts Take Action Project so they could earn the last key from their Brownie Quest Badge. Solar Prep has partnered with Girl Scouts to bring in-school lessons of sisterhood and entrepreneurship to students. The four Little Free Libraries the students helped build will be placed in underserved parts of Dallas. Dallas ISD will soon have a school for boys with the same successful model as the Solar Prep for Girls School. The new Solar Preparatory School for Boys will open August 2018. For more information or to enroll your child, visit https://www.dallasisd.org/applychoice.